Engraved couples key chain set personalized with names or a special message on these silver stainless steel dog tag with a heart key chain set. 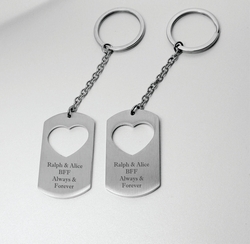 Personalize and Create with your own words on this engraved dog tag key chain set. 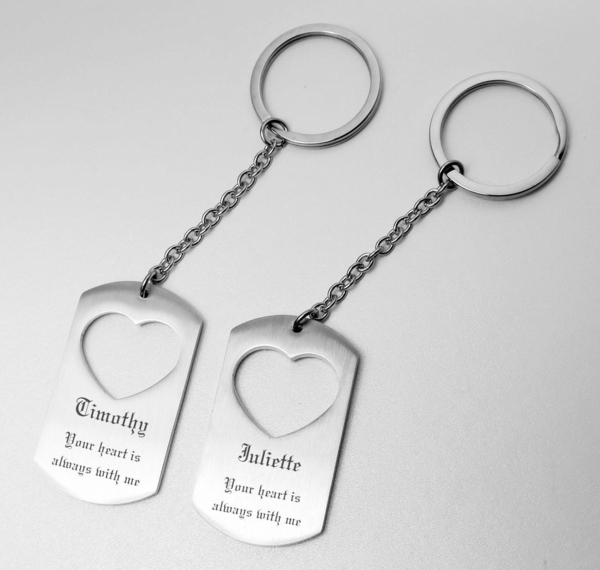 Engrave your names on the front of these key chains and personalize the back with a secret message just for the two of you. 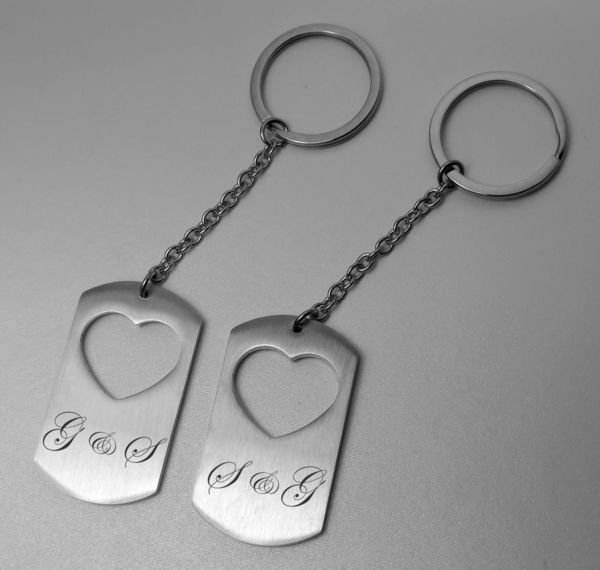 This key chain set makes a memorable gift for the people you love.